The nest is on a low branch overhanging a footpath. 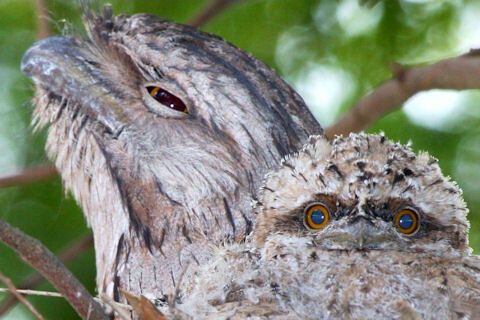 The parent bird is keeping a wary eye on the photographer. In turn the photographer is keeping a wary eye on the traffic as he stands in the middle of the roadway with his tripod and camera.